The launch of The 13 (pictured), a Macau hotel project that some investment analysts say is slated to have a casino, might “slip into early 2018”, said a note from Union Gaming Securities Asia Ltd. This was due to the time it might take to restart what is effectively a stalled project, said analyst Grant Govertsen in a Tuesday note. 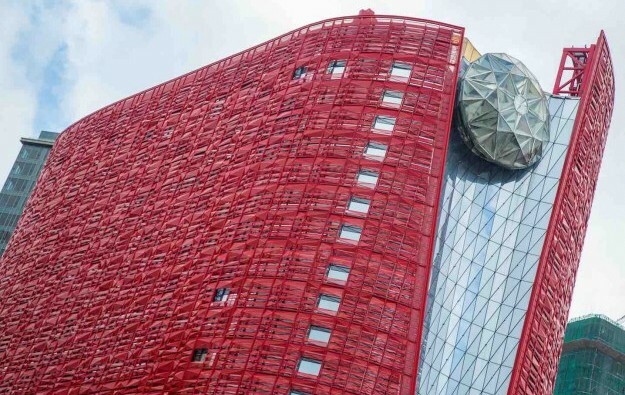 Referring to the scheme’s promoter, The 13 Holdings Ltd, the analyst stated: “Within its annual results last week, [it] announced what amounts to further delays with respect to the opening of the company’s casino project in Macau.” Previous company filings indicated the property was due to open by the end of this month. The firm’s annual results said that as of March 31, The 13 Holdings’ current liabilities exceeded its current assets by HKD300.9 million (US$38.5 million). Additionally, the company had contracted capital commitments not provided for in the consolidated results, amounting to HKD369 million. “Under the assumption that the company is able to raise sufficient capital we would not be surprised if the opening [of The 13] were to slip into early 2018 given the time-consuming process of restarting what has become a stalled project,” stated Union Gaming. “The delay is particularly painful given the [Macau casino] market rebound, especially at the high end where The 13 is positioned,” added the brokerage. The annual results had also indicated, said Union Gaming, a “funding gap that has not yet been resolved,” and that this had contributed to the “going concern language inserted into the announcement”. The 13 Holdings reported a net loss of HKD44.6 million attributable to shareholders of the company, during the year ended 31 March 2017. The group said that its directors were negotiating to improve the group’s liquidity, and judged it would have sufficient working capital to finance its operations. Possible improvements to its overall financial position included “new sources of funding in the form of debt and/or equity,” said the firm. Union Gaming said in its note: “While not disclosing the magnitude of funding needed we believe it is material and likely to be very expensive in the case of debt… and/or very dilutive in the case of additional equity”. The 13 Holdings announced in a June 28 filing that it had agreed to sell its majority stake in its construction arm Paul Y. Engineering Group Ltd for a consideration of HKD300 million. The company said the disposal was in order to fund the completion of the hotel property. In Tuesday’s note, Union Gaming said that the disposal of Paul Y. Engineering while “providing some short term liquidity, removes an important valuation backstop”.